This is a review from a previous #ReviewwithHadassah giveaway that's been pending. As usual, one reader and I get to review a product and let you know how we feel. This way, you get not one but two opinions about a product. Let it not be that ' Hadassah can always make it work' or 'Hadassah's hair is good hair nau' ...lol! 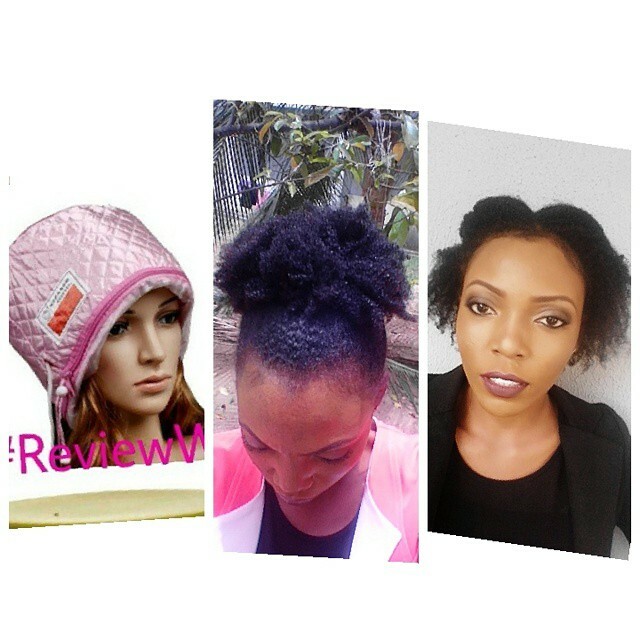 Anywho, I (Instagram @nappilynigeriangirl) and Deola (Instagram @aunty_didi) both reviewed a portable heating cap for deep conditioning kindly sponsored by a distributor @jhennique who is based in Lagos. 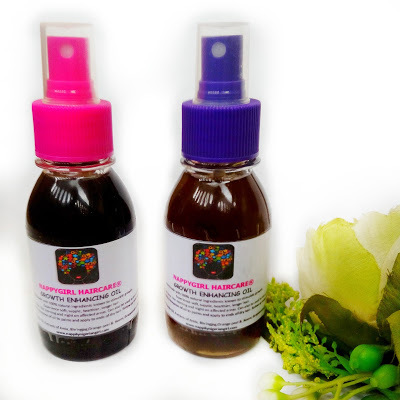 What's a deep conditioning cap without a deep conditioner? 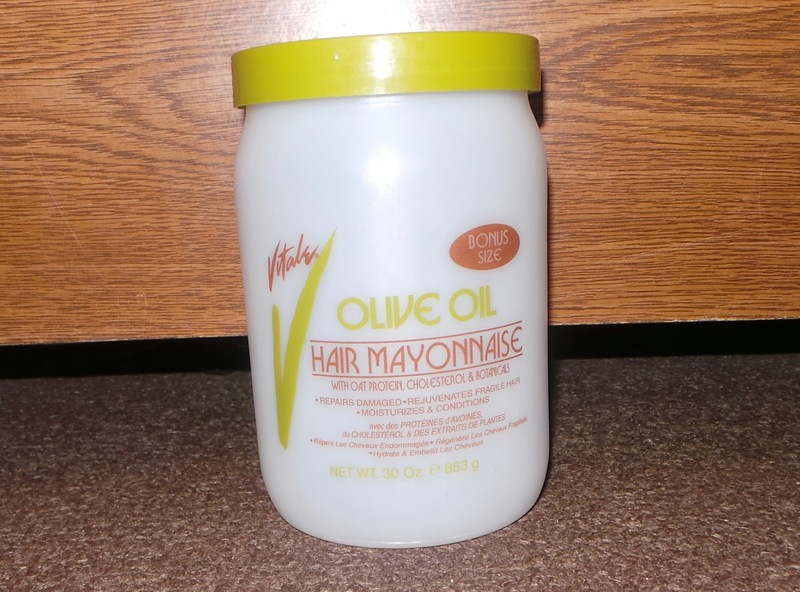 So I also threw in a big tub of Vitale Olive Oil Hair Mayonnaise. I got this heat conditioning cap courtesy @jhennique and @nappilynigeriangirl. 4. Wore the heat cap for 30mins and rinsed off. After washing my hair felt so soft!!! 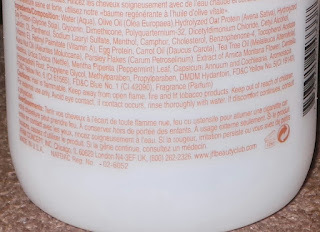 I performed my moisturising routine and twisted into 4 small sections. The next morning my hair felt amazing!!! For once my low porosity hair got completely dry the next day , still feeling moisturised and I didn't have products sitting on top. The picture in the middle was my day 3 hair after wash day and the right, day 5. I'm really happy with the results!!! Vitale Olive Oil Deep Conditioner. 1. Washed my hair with African black soap. 2. Applied the deep conditioner. 3. Wore the heat cap for 45 minutes. 4. Rinsed off the conditioner with VO5 rinse out conditioner. My hair was soft at first but when it dried, it became kind of hard. I guess it's because of the kind of protein in the conditioner. My hair can be protein sensitive. If your hair loves protein though, this conditioner could work for you. - Price point is awesome! N1800 for 30oz is a good deal and I heard one can get it cheaper. - Good slip for detangling. - Hard to rinse out. Will need warm water. - Affordable at N4000 for the comfort of deep conditioning at home, at your own time with the option of multitasking and tending to that side hustle! - Simple to use. Plug in, switch on , place on hair.....knit! - Hair always feel like it went on a well deserved vacation after that 30mins indoor sauna. Wish I could fit my whole body under there. The curls popping make me feel like I'm missing something! - I wish the cord was longer. I need a longer leash so I can even step out of town while still attached to my dryer. 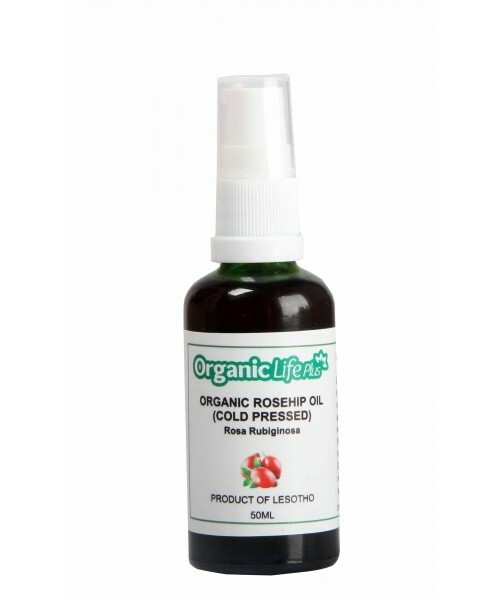 This is a low porosity natural's secret weapon. 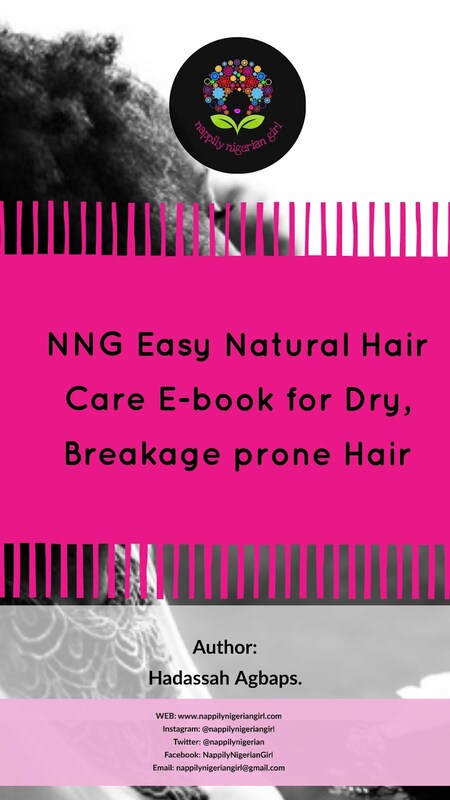 Get this and say bye bye to dry hair. Recommended for use once every two weeks. Have you tried this? Love it , hated it or just meh??? Okay, it's time for me to get a heating cap. I always forget that I want one. 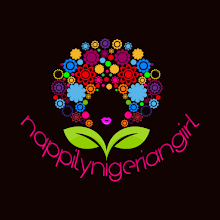 Hello Hadassah, Beautiful review on this product. I will try it because I have a low porous hair. I hope it helps. Thanks.